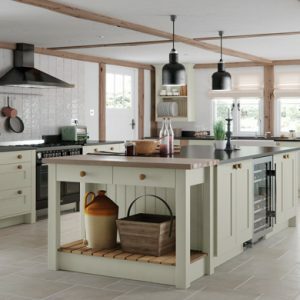 To chat with someone even more interested in kitchens than you, ring me on 01404 44189. 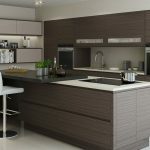 The Isala wood grain kitchen door is a foil veneered kitchen door with a wood grain pattern, it represents a very economical wood veneered look for those wanting a contemporary wood kitchen. 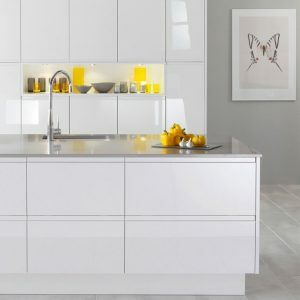 The Isala also comes in a range of colours, while it integrates with the Malmo range of kitchen wall from Burbidge in Coventry. 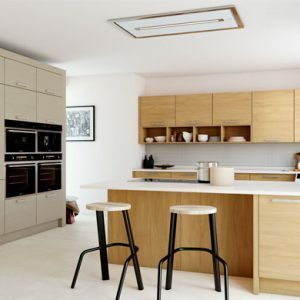 The door is faced with a durable foil veneer so this Isala kitchen front will last the rigours of family life, while still offering the beauty of wood. 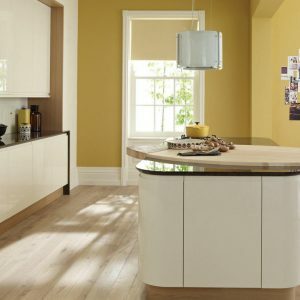 These Dark Elm and Warm Grey Oak colours are generally used as centre-pieces, or otherwise interspersed within an Isala coloured kitchen. A kitchen with a sensitively arranged set of something different certainly enhances the design and very often at negligible extra cost.